Analogies say more about the speaker than about the subject. Candy Crowley told KMOX Radio listeners on Friday that Tea Party groups resemble the Balkans without guns. The colonies were divided on just about every subject imaginable. The disagreed on slavery, on economics, on agraculture, manufacturing, cities, names – name it. But they agreed one thing: they hated tyranny and loved liberty. Our Tea Party groups don’t always get along with each. We often disagree on tactics, on scope, on message. Some want to do nothing but rally while others network and others clean up voter rolls. We’re a mess. CNN’s Candy Crowley, a St. Louis native, talks politics on KMOX every Friday morning. On May 4, 2012, she talked about the dust-up between Tea Party Express and several Missouri Tea Party organizations, including St. Louis Tea Party Coalition. Here’s what she was talking about. The Tea Party Express planned to stop at the Victory Field House on Hwy 141 and I-44 in Fenton on Wednesday, May 2. Ed Martin, Republican for Attorney General, and Cole McNary, Republican for State Treasurer, share the Field House as a grassroots HQ. Many GOP candidates have a presence there. 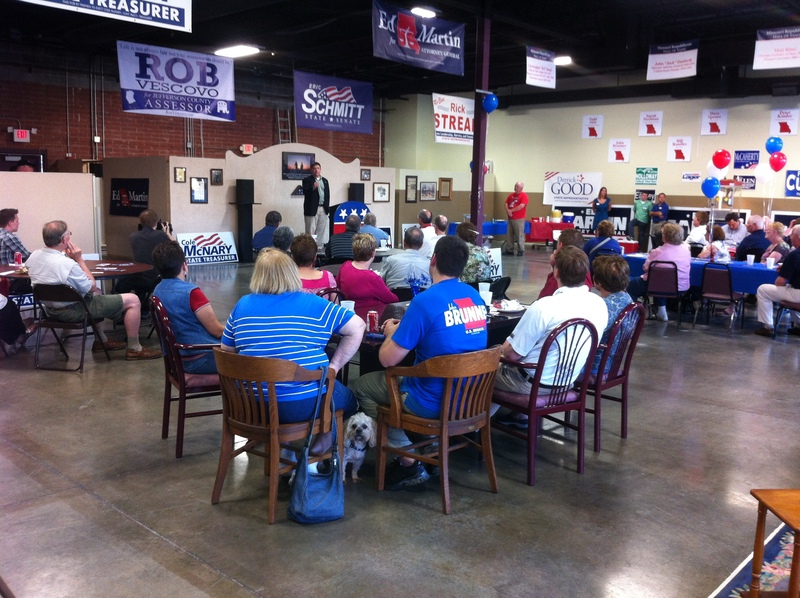 According to sources at the Field House, Tea Party Express planned to invite all Missouri candidates to the event. The Field House made open access a condition, because TPE had already endorsed Sarah Steelman in the GOP primary for US Senate. My sources said they were assured that John Brunner and Todd Akin, Steelman’s opponents, would be invited. As the event drew near, the Field House was unable to get hold of TPE. Then TPE ran a series of ads on KMOX equating their visit to the Field House with Steelman. That’s when Ed, Cole, and crew pulled the plug on the event and, instead, hosted a little barbecue for volunteers. H/t to Craig Niehaus for the idea for this post.